Nominees and heirs are not synonymous? What’s the difference between a nomination and an heir? There are key differences between legal heirs and nominees that you must keep in mind - Nominees do not have the same rights as heirs, and this is what we cover in this article. Writing a will is very essential if you consider the entire legal ramifications and its sheer importance, from a larger perspective. A will is basically the written declaration made by an individual about the distribution of his/ her assets, wealth and property to beneficiaries or legal heirs, as per his/her wishes. Beneficiaries can include members of the family, other relatives, friends, acquaintances, organizations, charities and so on. The importance of a will in India cannot be emphasized upon enough, when it comes to safeguarding the interests of family members, ensuring proper distribution of wealth as per the wishes of the deceased; it also plays a big role in preventing any family disputes, legal delays, legal costs and other unwanted situations. One can choose a good online will solution or lawyer, or even make the will himself/ herself. Who is the legal heir? 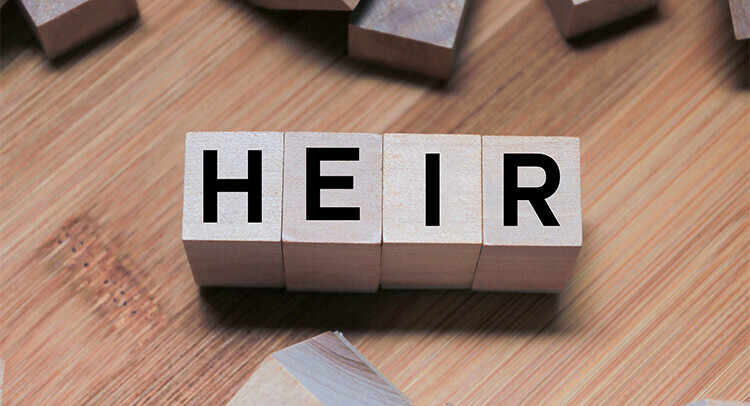 The legal heir, as opposed to the nominee, is the individual who has the right and entitlement to succeed to the wealth and property of the deceased individual, under the signed legal will else personal succession law applicable. The legal heir will be mentioned clearly in the will by the person deceased, as the key inheritor. The legal heir can be one person, or multiple persons as well. As a result, it can be seen that the nominee is only the trustee of the property and has to hand the same over to the legal heir of the property, based on the will made by the person deceased. Do you really need the personal services of a legal professional to make a will? Why Will Drafting Is The Most Important Piece in Your Financial Planning Jigsaw! What’s the right format & formalities to be followed, when drafting a will? Your Assets, Your Wishes …. Why should the court decide? How to avoid family disputes with just one piece of legal paper - Your Will!! How to properly draft a legal will? Why ‘Now’ is the Time to Draft Your Own Will!